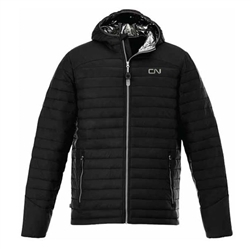 The modern fit Norther Packable Insulated Jacket combines a trendy retail look with lots of interesting features, starting with an LED zipper pull. It's also got an ECHOHEAT lining and water repellent finish for comfort in cold, damp weather. 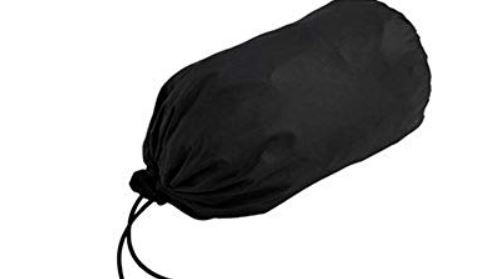 And when you're in the car or on a plane, you can pack it up and stow it away in a stuff sack built into the left pocket. Embroidered CN logo on front. OUTERSHELL: 100% Nylon dull cire 380T woven, water repellent (600mm) and downproof, 38 g/m² (1.1 oz/yd²). CONTRAST: 100% Polyester with water repellent finish. LINING: 100% Polyester 240T ECHOHEAT body and hood. 100% Polyester taffeta 210T cire finish body and sleeves.